Sen. Sherrod Brown visited with pharmacists in Cincinnati Tuesday. CINCINNATI – U.S. 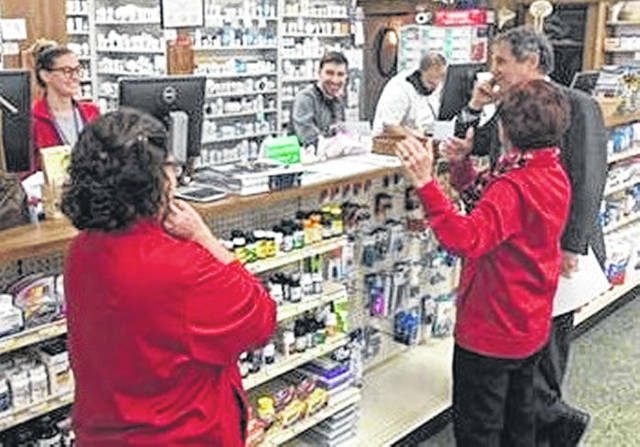 Senator Sherrod Brown (D-Ohio) joined a Cincinnati pharmacist at Hart Pharmacy Tuesday after President Trump signed Brown’s bipartisan bills to help Ohioans save money on their medication at the pharmacy counter into law. The bill is a follow-up to Brown’s Know the Lowest Price Act, which passed the Senate last month. That bill would prohibit Medicare Advantage and Medicare Part D Plans from restricting a pharmacy’s ability to provide drug price information when there is a difference between the cost of the drug under the plan and the cost of the drug when purchased without insurance. Brown visited Hart Pharmacy in Cincinnati and stood with pharmacist Mimi Hart to discuss why this legislation is important for pharmacists and patients. “The pharmacists of the nation are grateful to lawmakers for making it possible for us to offer our patients the best prices for their medications without fear of losing our insurance contracts. The gag clause was a hindrance to taking care of our communities to the best of our abilities,” said Hart. “Many customers have no idea that they could pay less for their prescription if they paid out of pocket rather than using their insurance at the pharmacy counter,” stated the release. “That’s because many pharmacists are prohibited from telling their customers that a prescription to treat diabetes or high blood pressure may cost only $8 out of pocket instead of $20 through insurance coverage.